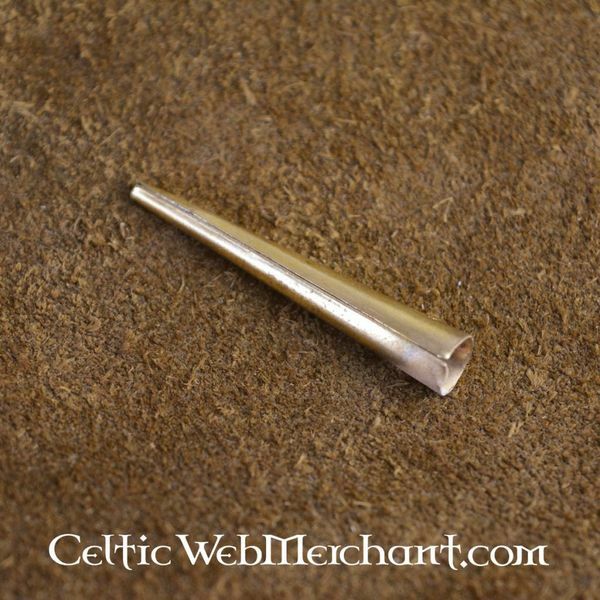 This lace end is based on an original from the 15th century. 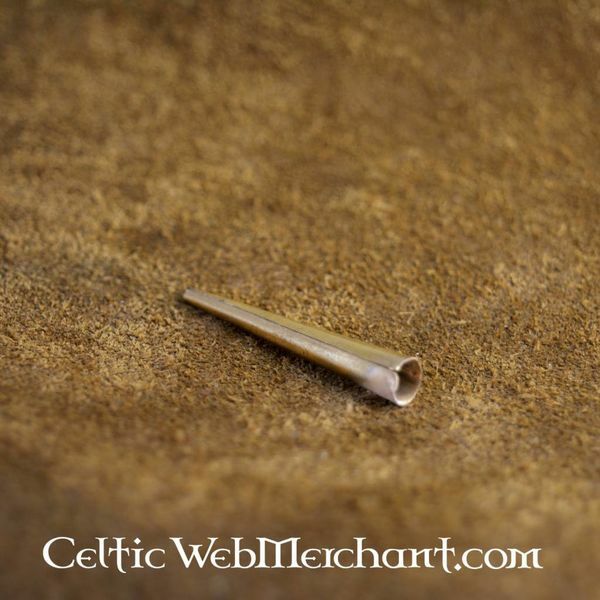 Similar lace ends were used all over Europe between the 13th and 16th century for braies and other pieces of clothing. 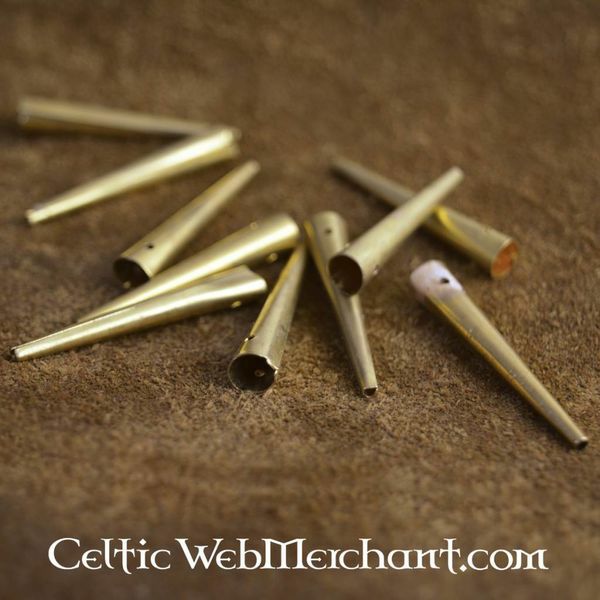 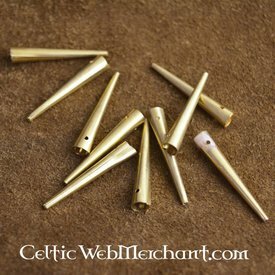 These ends are made of brass, are 4 cm long and are delivered as a set of 10.